The age of the Candidates age limit should be between 18 years to 28 years.Age relaxation is applicable as per rules. Last Date for Receipt of Application: update soon. General candidates 500/-and SC/ ST/ Ex-servicemen/ Persons with disabilities (PWDs), Women, Minorities and Economically Backward Classes 250/. The Fee in the form of Indian Postal Order (IPO), drawn in favour of Senior Personnel Officer. RRC, N.E. Railway, payable at Gorakhpur. Interested and Eligible candidates may submit their application in the prescribed format can downloaded from website www.ner.indianrailways.gov.in along with self attested copies of relevant documents should reach to Chief Workshop Manager (Personnel), North Eastern Railway, Gorakhpur on or before 29/08/2016. Last Date for Receipt of Application: 29/08/2016. Candidates should have Degree in this Recruitment process they must have passed Act Apprentice Course Completed candidates can apply. Interested and Eligible candidates may submit their application in the prescribed format can downloaded from website www.ner.indianrailways.gov.in along with self attested copies of relevant documents should reach to Chief Workshop Manager (Personnel), North Eastern Railway, Gorakhpur on or before 22-08-2016. Last Date for Receipt of Application: 22-08-2016. Interested and Eligible candidates may submit their application in the prescribed format can downloaded from website www.ner.indianrailways.gov.in along with self attested copies of relevant documents should reach to Chief Workshop Manager (Personnel), North Eastern Railway, Gorakhpur on or before 22-September-2015. The North Eastern Railway is one of the seventeen railway zones in India. It is headquartered at Gorakhpur and comprises Lucknow and Varanasi divisions as well as reorganized Izzatnagar division. The North Eastern Railway was formed on 14 April 1952 by combining two Railway systems the Oudh and Tirhut Railway and Assam Railway and the Cawnpore-Achnera section of the Bombay, Baroda and Central India Railway. The Cawnpore-Barabanki Railway was transferred to the North Eastern Railway on 27 February 1953. 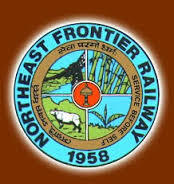 NER was bifurcated into two Railway Zones on 15 January 1958, the North Eastern Railway and the Northeast Frontier Railway and all lines east of Katihar were transferred to Northeast Frontier Railway. On 1 October 2002, Samastipur and Sonpur Divisions were transferred to East Central Railway. The present N. E. Railway (NER), after re-organisation of Railway Zones in 2002, comprises three Divisions - Varanasi, Lucknow & Izatnagar. NER has 3,402.46 route km with 486 stations. 4 Responses to "North Eastern Latest Railway Jobs Gorakhpur Recruitment 2017-18 ALP RRB 78 Posts at rrbgkp.gov.in"